When someone’s unhappy, their posture shows it. Body language expresses our mood and attitude. 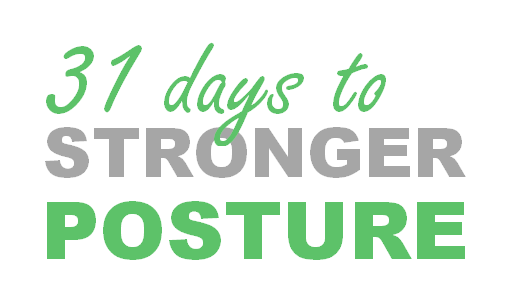 It’s common-sense to know a friend is feeling down when their posture is slumping over. New research shows it’s a two way street – How you hold your body affects your mental attitude, and your state of mind changes how you hold your body. 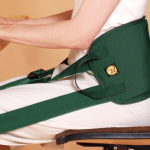 Living with tech means posture can suffer as we sit, type and text for hours each day. 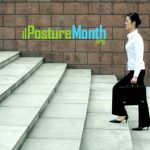 Now researchers are finding some really significant health consequences, which is one reason posture is trending. 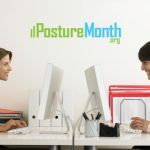 Another is the explosion of ergonomic products from standing desks to upscale mattresses to vibrating shirts and apps to make us look and age better (or just avoid back and neck pain) by standing taller. 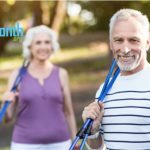 Doctors, chiropractors and therapists who treat muscle and joint pain call it an epidemic, and say the problem and society’s slump are accelerating. More children are being diagnosed with back pain, and some professionals observe many kids with posture that’s worse than their parents, pointing to a risk for developing bodies. As well as developing minds. 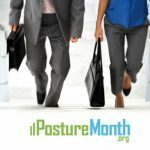 Smart posture habits can make a big difference in mind and body. 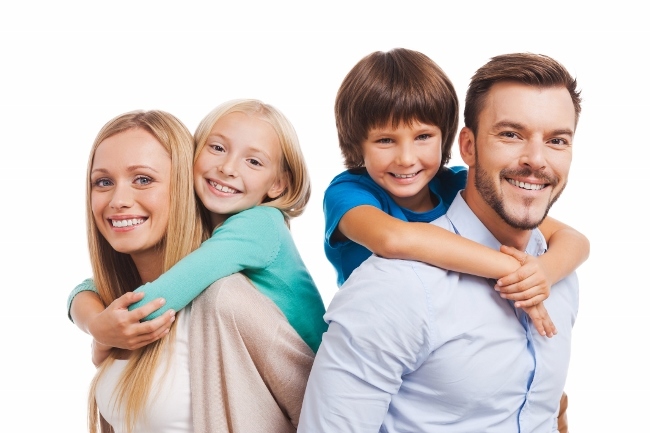 Studies show self-esteem and mood can be improved by sitting (or standing) tall, with head, torso and hips aligned. 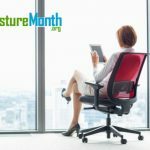 When people sit straight, their short-term memory is better, as is their reported alertness, self-esteem and energy level. 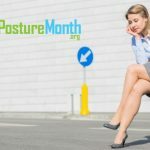 Improving your body alignment can even energize you, as another study found people deprived of sleep could counter fatigue by holding their posture upright. 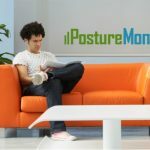 The Journal of Behavior Therapy and Experimental Psychiatry released a study concluding that even people who suffer with depression can improve their mood by improving posture. Hunched over posture is a diagnostic feature of clinical depression, as the person’s body literally folds in to withdraw from life. 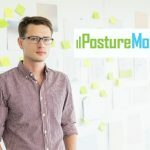 This postural breakdown with rolled in shoulders is also associated with negative emotions, anxiety, and using more “anger” words in conversation. 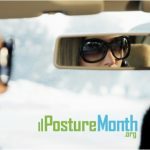 Researcher Elizabeth Broadbent and her team found changing people’s posture reduced their reported anxiety and negative emotions. The participants who were made to sit up tall used less negative words. And, they said the word “I” less frequently, which reflects an improvement in the directing of their attention outward. 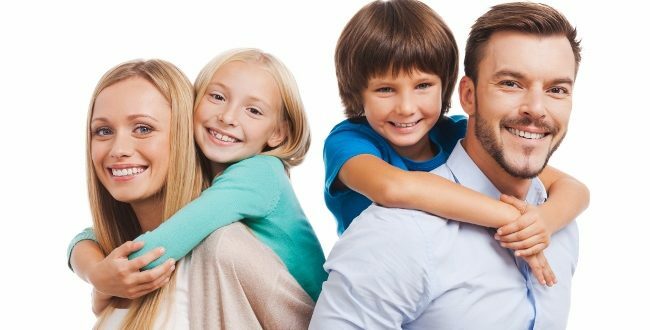 Attention and mindfulness connects our physical and mental health. Meditation is widely considered beneficial for stress reduction, productivity and improving happiness. The mind-to-body connection is real— as is the one between body and mind. 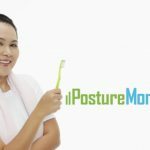 Here’s a one-minute posture break exercise recommended by posture expert Dr. Steven Weiniger, creator of the StrongPosture® exercises taught by certified Posture Exercise Professionals (CPEP), chiropractors and therapists globally. 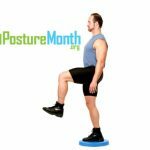 Focusing your attention on a single body part at a time will boost mind-body awareness and control, and with these 5 steps you can dial into your posture to start confidently standing taller. 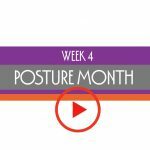 The goal is to stand tall and align your head, torso and pelvis over your feet (the 4 PostureZones). As your focus shifts from the ground up, breathe slowly and let your breath guide the motion. 3- Center your Pelvis: Arch your low back and breathe in, then pull your belly in, tuck your pelvis and breathe out. 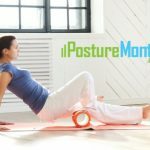 Keep your spine long and head tall as you roll your pelvis back to center. Repeat for another breath. 5- Lift and level your Head. 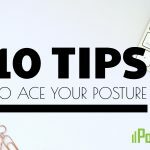 Look straight ahead as you breathe in, then breathe out and lift the base of your head up (keep the head level and chin slightly tucked) to lengthen your spine. Repeat for another slow, deep breath. Repeat. 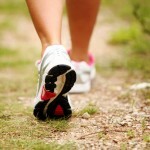 Focus on standing taller, aligning each PostureZone as you breathe slowly for each step. 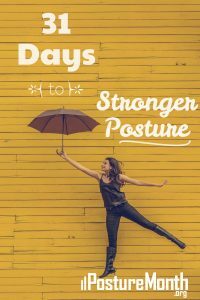 Do this 2 or 3 times a day to relieve stress, unfold your posture and brighten your mood. Track Posture Improvement. Boost your awareness and see how you really stand with a picture. Stand tall and have a friend capture your posture picture from the front and the side. 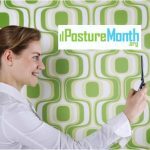 If you want more detail, try a free posture app like PostureZone to check your alignment and track postural changes. Make time for daily posture breaks and next month take another posture picture to compare and see the difference. 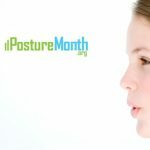 Whether you’re feeling down or optimistically looking up, posture affects (and is affected by) your outlook on life. 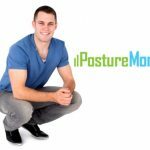 Improving your posture can improve your attitude, while reducing pain and muscle stress to let you breathe easier both mind and body.